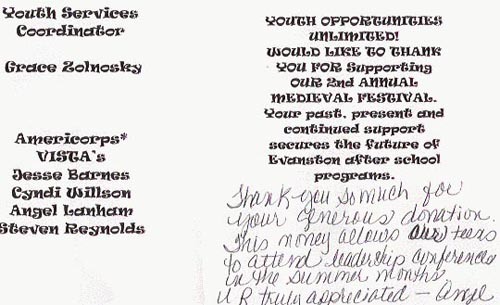 The Syndicate, through donations of $343 collected at the 2005 Syndicate World Conference and another $100 donated by member Briluuria, were able to help give something back to the greater community.. the real world community.. by sponsoring TWO knights (for the second year in a row) and donating extra month to help the organization grow. 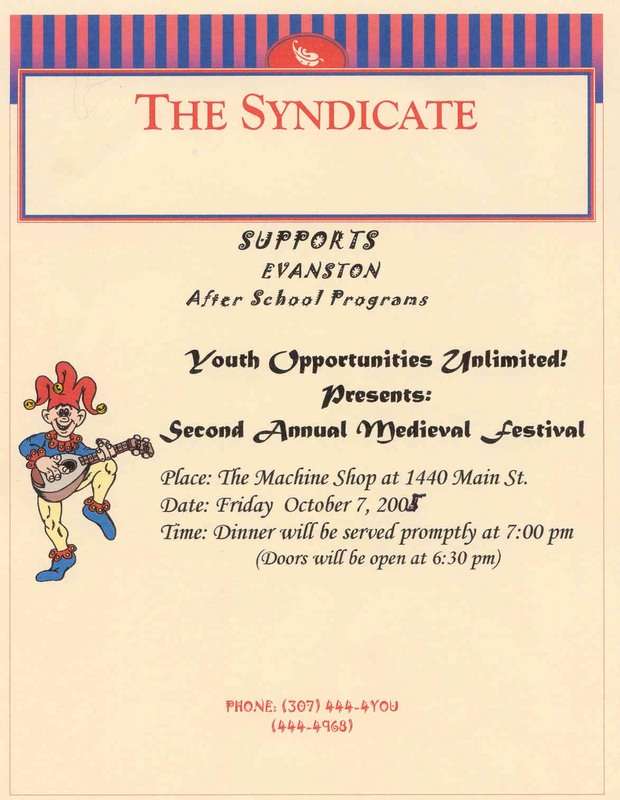 In Oct of 2005 by sponsoring two Knights for the Youth Opportunities Unlimited second annual A Knight At The Kings Table jousting competition. This competition raises money to support 6th-12th graders by providing them opportunities they might not normally have. You can read the program for the event HERE Note.. the program we were given had a typo on the date that was hand changed. You can tell it is a new one since it says 2nd annual and has a new date from the previous years.